Electricity prices in Ukraine are too low to enable the country's nuclear power plant operator to cover the cost of its fuel, its president and CEO said last week. In addition, the regulator's new methodology for calculating the cost of nuclear fuel purchases is restricted to new contracts. Addressing the state-run company's Balancing Committee on March 16, Yury Nedashkovsky said Energoatom is short of USD55.06 million for nuclear fuel this year, according to the exchange rate of the National Bank of Ukraine on 12 March. The increase in the electricity tariff from 1 January, to 54.3 kopecks per 1 kWh, still does not cover the company's minimum needs, he said. He called on the state power sector regulator to allow the company to increase power prices to raise more money than it can presently. This, he said, would mean that investment in safety measures at its plants need not be compromised. The National Energy and Utilities Regulatory Commission (NEURC) last year changed the way Energoatom is allowed to charge for electricity sold to Energorynok, the state-owned wholesale market operator. Energoatom can set prices for Energorynok based on upcoming contracts for nuclear fuel imports, but it not permitted to use electricity revenues to fund fuel contracts that have already been signed. The 'virtual' methodology NEURC introduced last year has led to this deficit, he said, and the tariff policy is pushing Energoatom "towards the brink of survival". 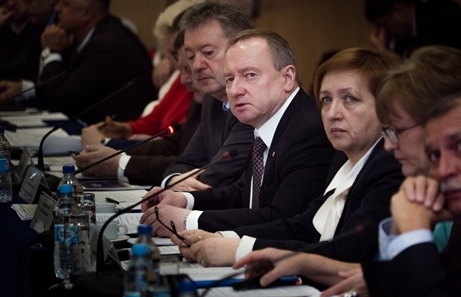 Its debt already exceeds UAH12.66 billion, he said. Energoatom charges UAH0.54/kWh for the electricity it generates, an increase of 15.92% from last year. This is insufficient to cover the cost of covering its fuel supply needs, he said. This has led to a shortfall of UAH46 million in the UAH108 million cost of planned maintenance work at its nuclear power units, he said. Financial obligations, including interest payments on bank loans, are "underfunded" by UAH506 million, he added. "Overall, the tariff deficit at the end of 2017 amounted to UAH1.668 billion and that's just taking into account the minimum requirements in Energoatom's government-approved investment program," he said. Energoatom buys all its nuclear fuel from Westinghouse's facility in Sweden or from Russia's TVEL. The value of its nuclear fuel imports last year stood at USD533 million. It operates all of Ukraine's four nuclear power plants - Zaporozhe, Rovno, South Ukraine and Khmelnitsky - which comprise 15 units.